One year of weight maintenance! Two+ years of weight maintenance! I'm just a "normal" person. I have a regular job, 4 kids, a husband, an extended family, friends... a life. Changing my lifestyle wasn't easy, I didn't always have "time", but along the way I learned some tricks to make it doable, and I hope my tips can help you reach your own goals. The transformation has been drastic... and difficult, but worth every drop of sweat, every tear. In fact, a direct result of my transformation is the honor of being featured in several magazines and associated with some amazing groups! August 2011 issue of Oxygen Magazine (pg 150). My weight loss story is also in the Rodale (the publishers of Women's Health Magazine) promotional brochure! March 2011 - I became an Eat Clean Diet Ambassador, and was invited to join the Eat Clean Diet™ Team at The Arnold Sports Festival in Columbus Ohio (March 3-6, 2011)! August 2011, I joined the Champion Nutrition USA Team as a sponsored athlete (woohoo! ), and I post a weekly recipe for them on their facebook page! Check it out here. In 2011, I was contracted by World Physique magazine to provide recipes for their new publication, World Physique Women! August 2011 - First Figure Competition! Placed 4th in both my events, bringing home hardware! Woot! April 2013 - Filmed and shot with Go Daddy, highlighting me and Recipe For Fitness as one of their small business partners! 2015 - Stood with GoDaddy on the NYSE platform as we rang the bell when they went public! What a rush!!! 2016 - Certified Fertility Counselor, Joyful Living. 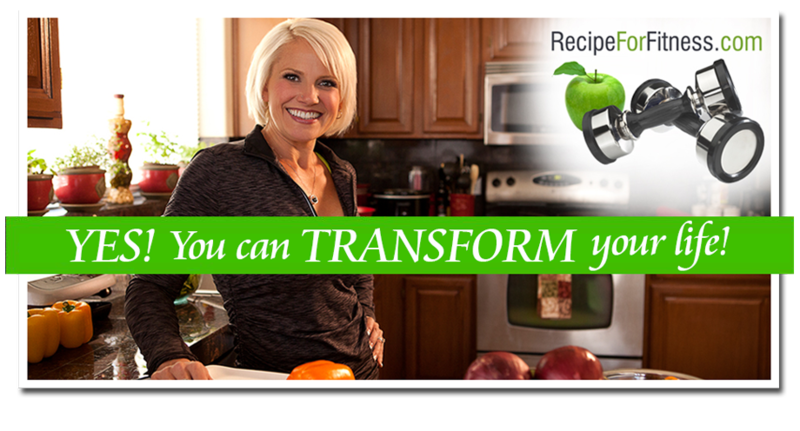 Please visit my main website to view my recipes, workout music playlists, Sunday Food Prep plan (cook just once a week! ), and more!